XPB Offers Lockers, Restroom Partitions, Sinks & Accessories – 877-483-9270→Bathroom Accessories→Vandal Resistant Mall Restroom Partitions & Accessories For Sale Factory Direct Guarantees Lowest Price! 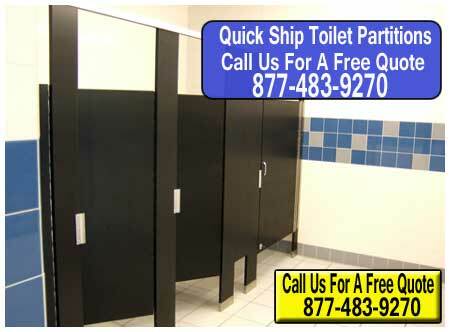 Vandal Resistant Mall Restroom Partitions & Accessories For Sale Factory Direct Guarantees Lowest Price! If you are a facilities manager faced with repeated acts of vandalism in your mall restroom, you can start to recover your losses by upgrading restroom fixtures and accessories with more vandal resistant equivalents. If you are having a problem with graffiti on your toilet stall walls, consider upgrading to solid plastic partitions. Plastic is highly moisture resistant, so inks cannot penetrate into the material itself. Most forms of ink can be wiped off with standard cleaners. Solid plastic is rather difficult to damage and cost effective to repair in-house in the event that it is scratched or cut with a sharp object. You can also furnish your mall restrooms with vandal resistant stainless steel mirrors that feature a highly polished surface. Or, you can invest in glass mirrors made from a variety of break-resistant glass types that minimize the likelihood of shattered, sharp shards of glass scattered all over the restroom vanity area. Another common form of vandalism in public bathrooms is the abuse of paper towels. Paper towels can be soaked with water and scattered all over the floor area in a matter of seconds. They can also be used to stop up toilets, causing the entire room too flood with contaminated water. You might want to consider stopping this by getting rid of paper towels altogether. XPB Locker Supply has a number of electric hand dryers that are cost effective to operate, vandal resistant, and capable of drying hands quickly, effectively, and comfortably. You may also being having problems with plastic accessories being cracked or broken. While many of these bathroom accessories are very cheap, the cost of replacing them often cancels out the front-end savings. Large, plastic toilet tissue dispensers and plastic soap dispensers with levers are easy targets for vandals in mall restrooms. There are a number of upgrade/replacements you can consider for these accessories. Stainless steel combination toilet tissue and seat cover dispensers are much more resistant to damage than plastic equivalents. There are also soap dispensers made from stainless steel and soap dispensers that are integrated into many of our commercial lavatories. While it may not be immediately cost effective to replace your lavatory systems, you might want to consider a better system for your next mall restroom remodel. Vandal resistant faucets with capacitance sensing technology can be used to replace infrared faucets whose sensor windows can be broken out by vandals. Also, integral soap dispensers are highly resistant to tampering and minimize soap waste at the same time. Call us for specific models for various upgrade and replacement options for your restroom.